Bolstered by Breeders' Cup Challenge victories from Alizee (AUS), Fine Needle (JPN), Royal Marine (IRE) and Wild Illusion (GB), Godolphin, one of the world's most successful Thoroughbred racing and breeding operations, has won the John Deere Award as the outstanding breeder of the 2018 Breeders' Cup Challenge Series and the Breeders' Cup World Championships. The John Deere Award, presented by Breeders' Cup Limited and NTRA Advantage, emphasizes the contributions of breeders to the Breeders' Cup program. The industry's breeders provide funding for the purses for the World Championships through the annual nominations of foals and stallions. NTRA Advantage and John Deere will award a John Deere TS Gator Utility Vehicle to Godolphin. The John Deere award winner is determined by the breeder who received the highest number of first-place finishes in Graded/Group Stakes in the international Breeders' Cup Challenge Series of 85 stakes races in 12 countries, and in the 13 Grade 1 Breeders' Cup World Championships races, and the Breeders' Cup Juvenile Turf Sprint, held this year at Churchill Downs in Louisville. Each Grade/Group 1 wins were worth 10 points; Grade/Group 2 wins were worth six points; Grade/Group 3 wins were worth four points, and ungraded wins were worth two points. Godolphin-bred runners earned 40 points by winning four Group 1 races. Three breeders – Mike Abraham, Stonestreet Thoroughbred Holdings LLC and Summer Wind Equine – tied for second place in the competition, each earning 30 points. 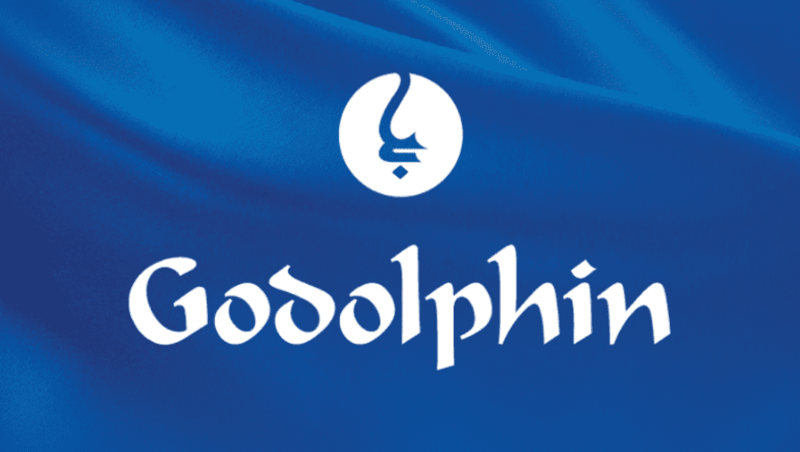 Godolphin claimed the John Deere Award by winning Breeders' Cup Challenge races in Australia, Japan and France. In Sydney, the 4-year-old filly Alizee, a bay daughter of Sepoy (AUS) out of Essaouira (AUS) by Exceed and Excel (AUS), won the one-mile Coolmore Legacy Stakes (G1) at Royal Randwick in April. In September at Nakayama Race Course in Japan, the 5-year-old Fine Needle, by Admire Moon (JPN) out of the Mark of Esteem (IRE) mare Needlecraft (IRE), took the 6-furlong Sprinters Stakes (G1) on turf. Godolphin-breds scored two more victories on the Prix de l'Arc de Triomphe card at ParisLongchamp Racecourse on Oct. 7. First, the 2-year-old Royal Marine, a bay son of 2008 Breeders' Cup Classic winner Raven's Pass out of Inner Secret by Singspiel (IRE), captured the Qatar Prix Jean-Luc Legardere (G1). Later on in the program, the 3-year-old filly Wild Illusion won the 1 ¼-mile Prix de l'Opera Longines (G1). A bay daughter of Dubawi (IRE) out of the Monsun (GER) mare Rumh (GER), Wild Illusion went on to finish second by a neck to Sistercharlie (IRE) in the Maker's Mark Breeders' Cup Filly & Mare Turf (G1). In the three-way tie for second place, Abraham bred the 5-year-old Accelerate, who won the $6 million Breeders' Cup Classic (G1) at Churchill Downs on Nov. 3, and also captured “Win and You're In” races in the TVG Pacific Classic (G1) at Del Mar and the Awesome Again Stakes (G1) at Santa Anita Park. Stonestreet, based in Lexington, bred three winners who earned 10 points apiece from Breeders' Cup Challenge races. The 3-year-old Good Magic won the Betfair.com Haskell Invitational (G1) at Monmouth Park; the 2-year-old colt Complexity won the Champagne Stakes (G1) at Belmont Park and the 2-year-old filly Restless Rider, who captured the Darley Alcibiades (G1) at Keeneland. Summer Wind Equine, located in Georgetown, Kentucky, earned its 30 points from two horses. Twenty points came from Game Winner, who took the “Win and You're In” American Pharoah Stakes (G1) at Santa Anita Park and then swept to victory in the Sentient Jet Breeders' Cup Juvenile (G1). Back in June, Mozu Ascot won the one mile Yasuda Kinen (G1) on turf at Tokyo Racecourse to earn 10 points. This entry was posted in Bloodstock and tagged alizee, Breeders' Cup, Breeders' Cup Challenge, Breeders' Cup World Championships, Dan Pride, fine needle, Godolphin, hh sheikh mohammed, John Deere, John Deere Award, royal marine, wild illusion by Press Release. Bookmark the permalink.